Playa Paintings 101 is the intro class that looks at the development and evolution of my artwork, goes into technique, then gives participants a chance to create a large-scale artwork together. Check the Events Listing page to see the scheduled events. Have you looked at my imagery and wondered what the designs are about, where they come from, what they are based upon? 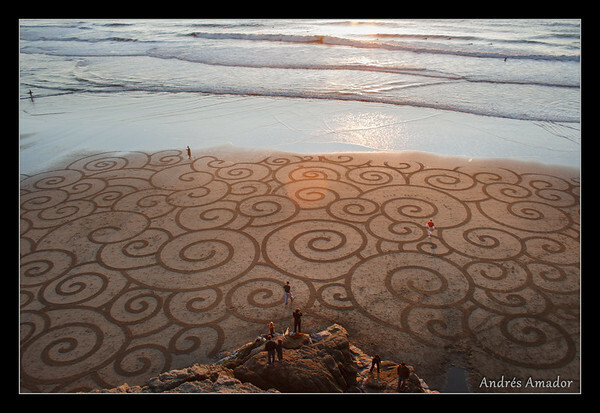 Curious about crop circles, sacred geometry, chaos and fractals and how those fit into my art? Or what they mean to you? 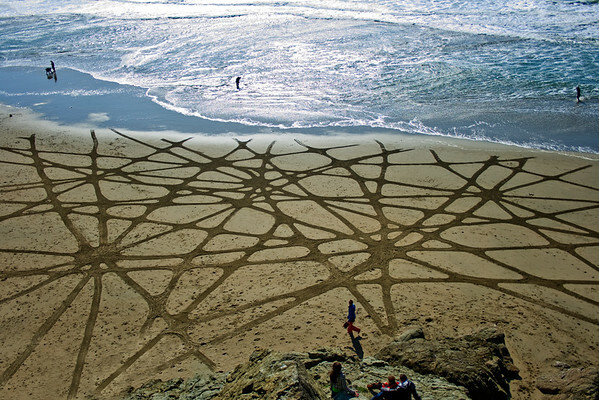 Have a desire to doodle in the sand with one of my rakes and play with design potentials? Great- then you'll love the workshop I have planned! - crop circles- why are they so compelling? - chaos- is the universe truly chaotic? - the development of my art through these various lenses and how they inform the latest designs. - Time to get to work and make our group art piece! I hope you can join us, its a magical experience to see the process unfold- even more magical to be inside the design creating it!